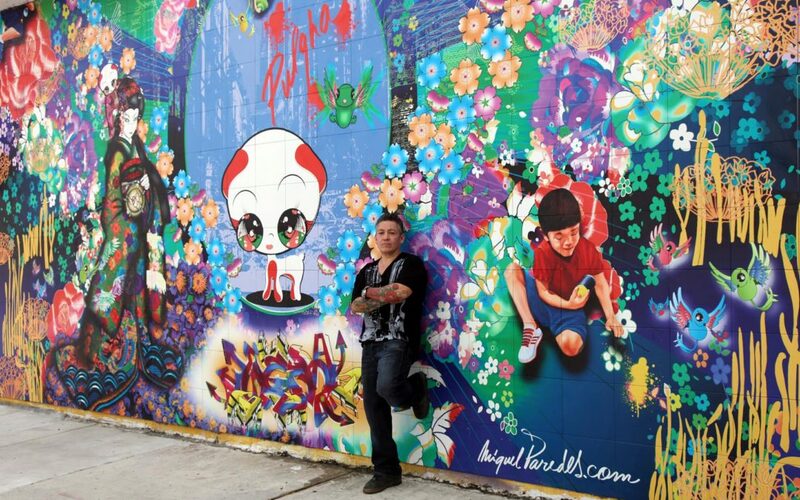 MIAMI – November 17, 2015 – Wynwood Lab, a new members-only collaboration space, gallery, and event venue featuring high-end art, home decor, and luxury products, has announced that multi-media pop artist Miguel Paredes will be among the first members to join, and will be displaying new works beginning with the Lab’s Grand Opening event called Co.LAB.orate on December 3 during Art Basel Miami. Paredes will also be discussing his work in an invitation-only presentation on December 4 at 7 pm at Wynwood Lab. Born and raised in Manhattan, Paredes fuses the power and immediacy of New York City graffiti with the skill and precision of a classically trained artist. His early artistic ability earned him an invitation to study at the highly regarded Fiorello La Guardia High School of Music and Art, which many know from its portrayal in the movie Fame. Paredes was later influenced by Ronnie Cutrone, an immediate assistant to Andy Warhol. Today Paredes’ works are in the collections of individuals, companies, public and private agencies, celebrities, and musicians around the world. Paredes’ portion of the Wynwood Lab group show may contain as many as 10 paintings. The large works will feature a mix of realism and two-dimensional techniques. It is unknown whether the anime-type character known as Pulgha that he created nearly 15 years ago and that features prominently in his work will be represented in the new pieces.